(CBS) The driver of a boat that crashed into a Hudson River barge in July, killing a bride-to-be and her fiance's best man, had been drinking before the fatal crash, an indictment alleges. 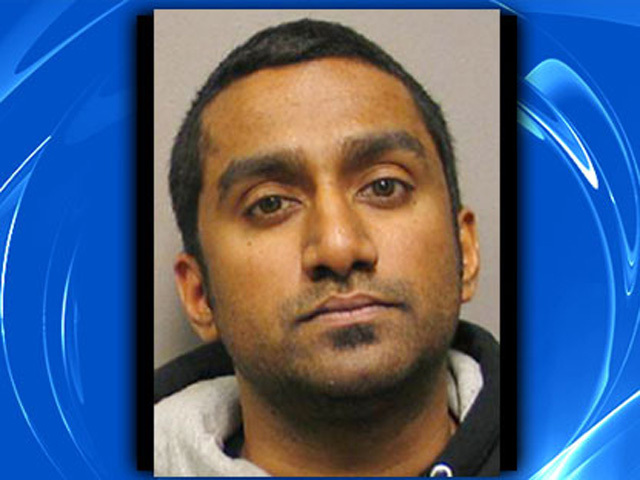 The driver, JoJo John, had a blood alcohol level of .15, nearly twice the legal limit, reports CBS New York. Charges in an 18-count indictment handed up against John reportedly include two counts of vehicular manslaughter, two counts of criminally negligent homicide and two counts of operating a vessel under the influence of alcohol or drugs. Cocaine metabolites were found in John's system, reports the station. John was injured in the crash. The fatal incident happened the night of July 26 when the 19-foot boat John was driving collided into a barge beneath the Tappan Zee Bridge set in place for a bridge reconstruction project, reports the station. Bride-to-be Lindsey Stewart, 30, and her groom's best man Mark Lennon were killed. Stewart's fiancée, Brian Bond, was also on the boat and was hurt. Bond and Stewart were set to be married Aug. 10. "The defendant is accused of taking the helm of his boat while under the influence of alcohol, being unable to maintain situational awareness and striking a construction barge," Rockland County District Attorney Thomas Zugibe reportedly said in a statement. "Drinking and driving is a lethal mix, as it appears to have been in this incident, which left several families shattered. My office will aggressively prosecute this case to ensure that justice is done." John's attorney has reportedly said no one saw the barge in the dark because it wasn't well lit. In a statement released earlier this year obtained by CBS New York, the families of Lennon and Stewart challenged the allegation that alcohol was the primary cause of the crash. "None of them saw the barge. They did not brace for impact and could not identify what they had hit - even after impact - as they desperately worked to direct the first responders coming to their aid," the family said in the statement.